The Hall Angle Sensor is a miniature 360 degree sensor which works based on the principle of the Hall effect. 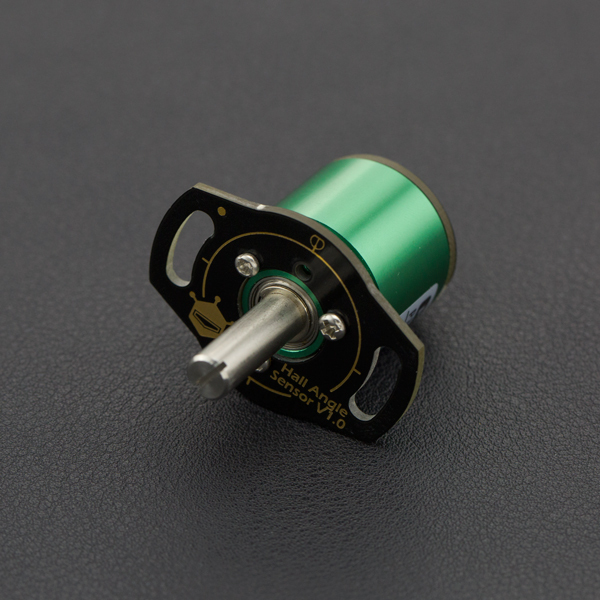 It is compatible with the DFRobot Gravity sensor interface, and works with a 5V DC power supply. The analog output is also 0~5V so it can work directly with Arduino. The Hall angle sensor works by converting its angle information to an electrical signal. When the rotation angle of the object is passed to the axis of rotation sensors, it outputs an electrical signal that is proportional to the rotational angle. The angular sensor shell is constructed from robust aluminum alloy, using Hall-type non-contact technology. It includes high-quality imported high-speed stainless steel bearings and other components for reduced frictional resistance when taking readings. The unit offers a long service life and is compact, with a high resolution, smooth rotation and dynamic noise. This unit is guarantees performance in various harsh industrial environments and is protected from electromagnetic interference, water, oil, vibration and shock. A typical application is crank angle sensing and steering angle measurement. 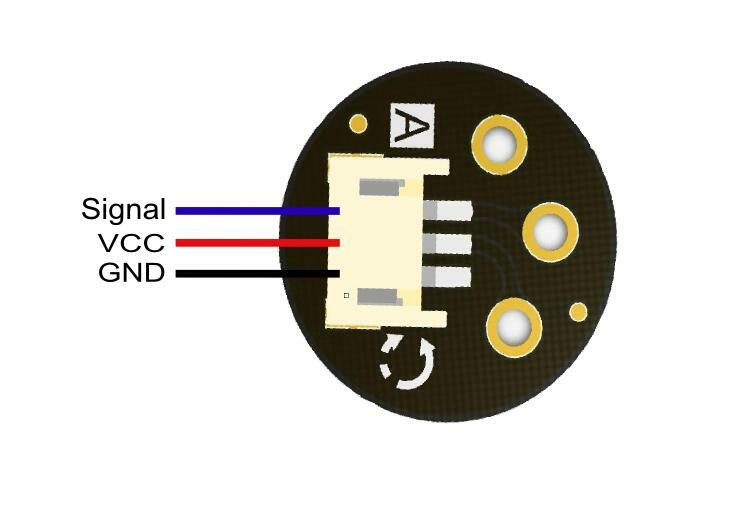 This tutorial demonstrates how to use hall angle sensor in 5 minutes. The serial monitor shows the angle value. Shopping from Gravity: 360 Degree Hall Angle Sensor or DFRobot Distributor.